It sure has been a long while since we’ve made a new announcement, hasn’t it? Six months in and we’re going strong. 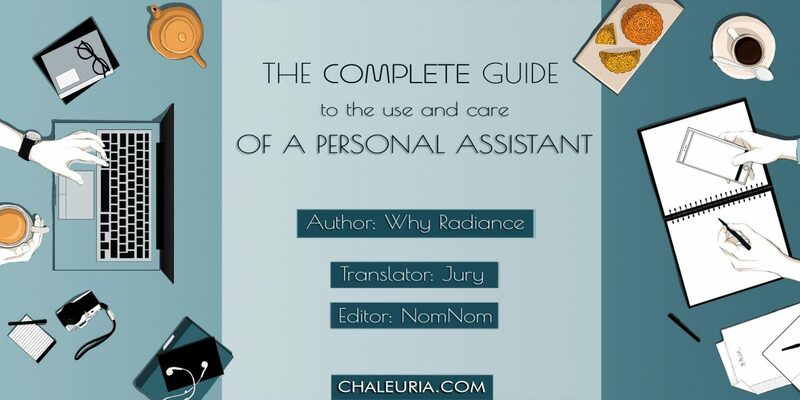 With that, please welcome the latest addition to our site, “The Complete Guide to the Use and Care of a Personal Assistant” by Why Radiance. Jury and her ever faithful sidekick, NomNom invites you to a hilarious comedy in this modern-day setting. A no-name writer becomes the personal assistant to a famous web novelist, and moves in with him amidst much bickering. He freeloads off the successful novelist, eats the novelist’s food, lives in the novelist’s house, and, eventually, even sleeps in the novelist’s bed. Enjoy the simple pleasures of the everyday with an oddball novelist and his dumb cat. PreviousChaleuria celebrates their Twitter launch! NextChaleuria welcomes Deep In the Act!